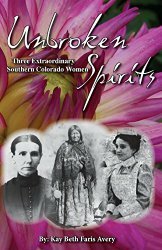 Unbroken Spirits, Three Extraordinary Southern Colorado Women, by Kay Beth Faris Avery is a collection of fascinating and relatable stories of real women who endured incredible challenges in the face of hardship and adversity. There’s the account of Chipeta, wife of Ute Chief Ouray, known as “Queen of the Utes” who gave up everything to be with her people. The story of Marion Sloan Russell, a well known author who was also a key player in a battle with the crooked Maxwell Land Grand Company over ownership of land for which she possessed a Homestead Land Patent. And the harrowing tale of Mary Pearl Waters Jolly, a nurse who married a lowly coal miner and was eventually one of many women involved in the Ludlow Massacre, an attack on a tent colony of striking coal miners and their families in 1914. These tales of the resiliency and tenacity of three women, told in the form of historical fiction, are both fascinating and inspiring. Author Kay Beth Faris Avery offers a telling account of the lives of these remarkable women who played a part in the past, all the while forging a path for future generations in Colorado territory. 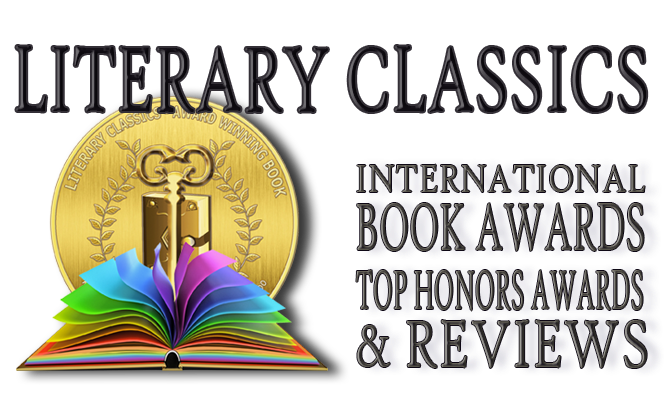 Recommended for home and school libraries, Kay Beth Faris Avery’s Unbroken Spirits has earned the Literary Classics Seal of Approval.